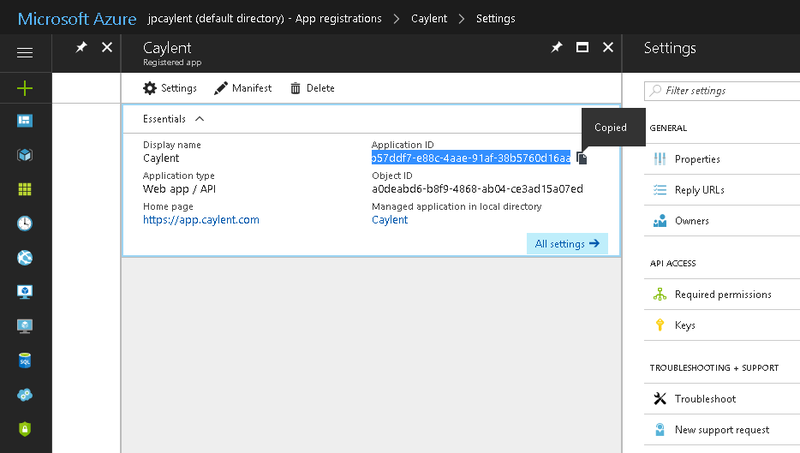 Connect a Microsoft Azure account to Caylent. 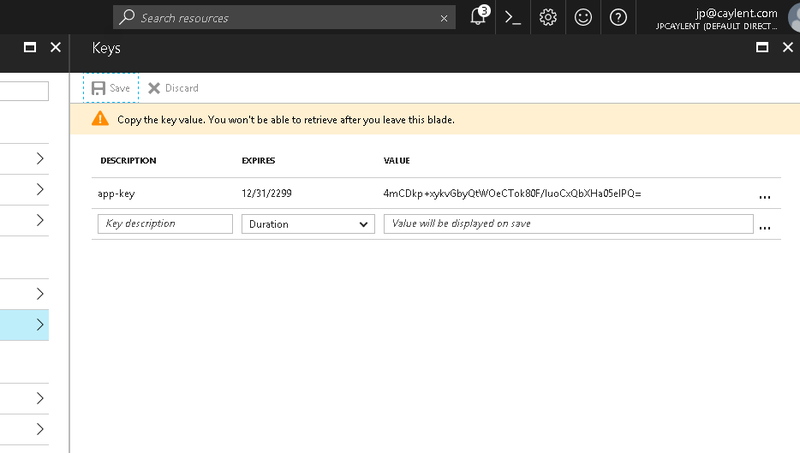 There are three keys you'll need to get from your Microsoft Azure account before Caylent can deploy Stacks or Apps to your Azure cloud. 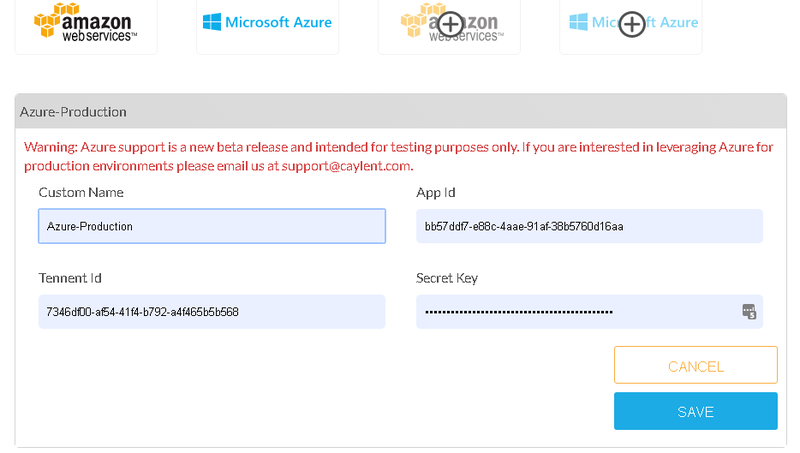 These are matching 'App ID', 'Secret Key', and 'Tenant ID'. You'll need a Microsoft Azure account, which you can sign up for here. 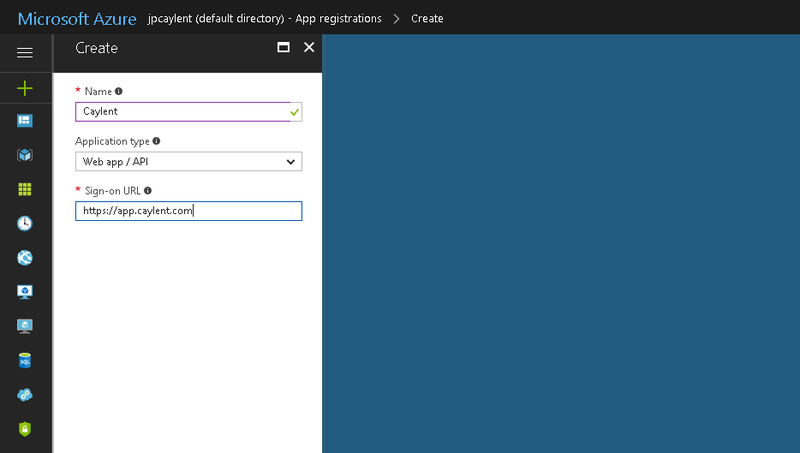 Log in to your Azure account and navigate to 'Azure Active Directory' from the left-hand menu. Click on 'App registrations' from the submenu. Click on 'New application registration'. Give the app a name, like Caylent. Application type is Web app / API. Sign-on URL should be https://app.caylent.com. Click 'Create' at the bottom of the blade. From the App Registrations page, click on the app you just created. Copy the Application ID and save this for later. Click 'Save' at the top of the Keys blade. Copy the generated Secret Key and save this for later. Important: You will not be able to retrieve this Secret Key again once you leave this screen. 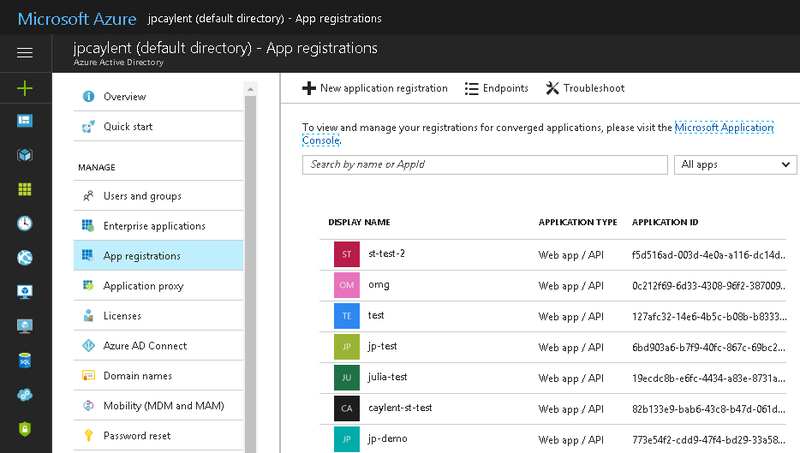 From the main menu, navigate to Azure Active Directory. Click on Properties from the submenu. Copy the Directory ID (we call this Tenant ID) and save this for later. Navigate to Subscriptions from the main menu. Click on the subscription you'd like Caylent to deploy resources to. Click Access control (IAM) from the submenu, then click 'Add' at the top of the blade. Select Contributor from the Role dropdown. In the 'Select' field, search for the app name you created in step 1. 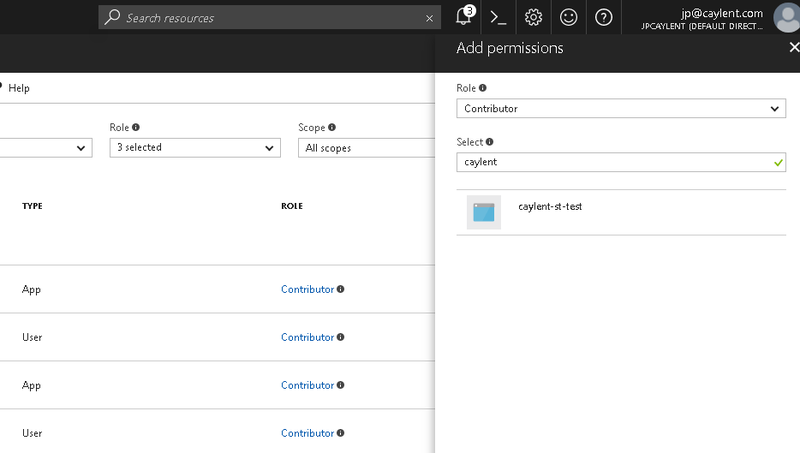 The app (Caylent, in this example) will now show up in IAM as a Contributor. Next, log in to your Caylent account. 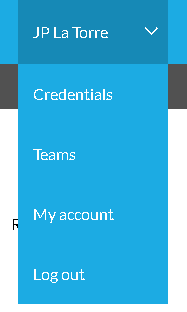 Navigate to 'Credentials' from the user dropdown menu. 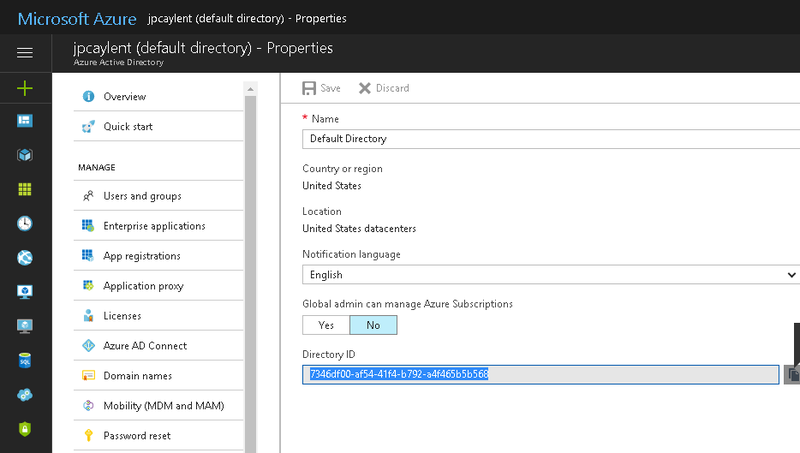 Click 'Add Azure' and input the App ID, Secret Key, and Tenant ID that you saved from the previous steps. Give your credential a unique name in case you need to add more keys later.